Have you ever had a really long day and you can’t wait to get home and change? Or after a workout or a run, great, tired but also desperate for a shower? 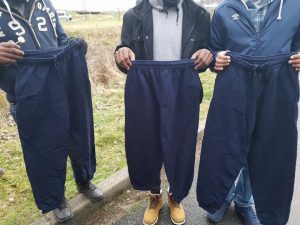 Today volunteering with Care4Calais I had the pleasure to help distribute joggers to men young and old in Calais. Who knew that something so simple could have such a big impact? As we gave out the joggers I saw the look on their faces as they realised these joggers were brand new and good quality. Looking at them to see they were slim fitting style, cuffed bottoms and their size. The same thing young men do in River Island or at stores in Westfield shopping centre every weekend, these are the similarities binding us together and not driving us apart. As we spoke I looked around and saw how torn or dirty some of their trousers were. 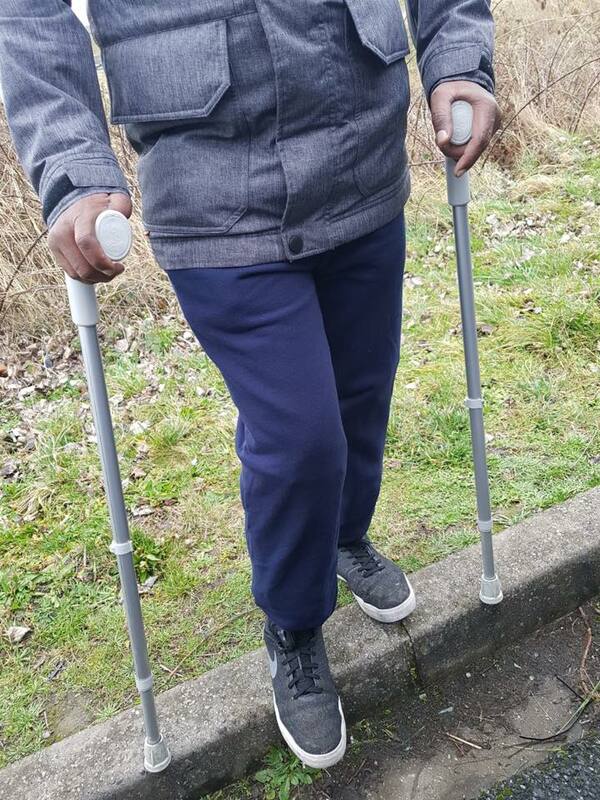 After talking to a volunteer who has been working with Care4Calais for a few weeks, they told me about Idris, a smiley and really friendly guy who worked in healthcare in Eritrea his whole life. I had been talking to Idris for a while and he had thanked me for the joggers he received that day. After our chat the long term volunteer told me he had been seeing Idris each week, always in the same clothes whatever the weather. It was a really great feeling to give out something so valued and practical today; not just useful but preserving dignity and normality in place where both are hard to find.